This year’s Cocoon Ibiza is mixed by Mathias Kaden and label regular Popof, helping celebrate the fact Cocoon Ibiza is now 15 years old, with both DJs set to preform live at Amnesia a number of times this summer. German Mathias Kaden is a tech house producer who most often appears on Vakant and has done so for almost a decade now. Popof, meanwhile, has been active since the mid-90s and the French man is known for his take on minimal techno and electro. Kaden takes the first disc with a selection that starts all atmospheric before quickly settling into a minimal groove courtesy of a Luciano track. The following tracks by Shonky, Detroit Swindle, Derrick Carter and Bulgarian retro-hero KiNK emphasize the house touch of Kaden’s mix. With an elegant John Tejada piece Kaden shift gears slowly up to Carl Cox and a Kenny Larking remix for Ben Klock. It's peak time now and the final section of the mix features tracks by Honesty & Daniel Paul, Ripperton and a Kaden-remix for Daniel Stefanik and gets back to the deeper energetic vibe from the beginning of the mix. 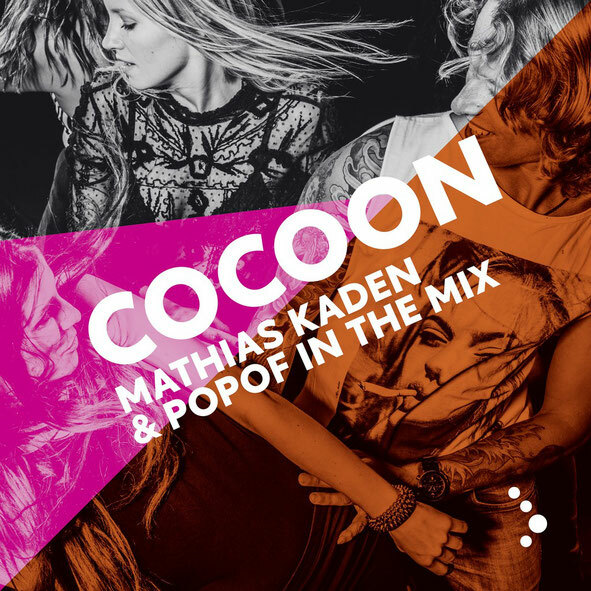 Popof seems to follow the sound that Mathias Kaden features in his mix... it's house merged with techno elements and the artists included are DJ Phono, Alex Kid, Nikoloa Gala, Jay Shepheard and Sneak. Popof creates a summer vibe early on, and it continues with tracks by Johnny D and Joeski before the energy levels rise more and more as Simon Garcia and Philip Bader and finally label regular Roman Flugel all get reached for. It’s out 23 June on Cocoon.